An intriguing rumour reaches Dr Mumbo. If his usually highly reliable source is correct, Steve Bannon – founding member of ultra-rightwing commentary website Breitbart and Donald Trump election mastermind – is headed for Australia. Dr Mumbo understands that Bannon will be a guest of the Festival of Dangerous Ideas, which has relocated this year from Sydney Opera House to Cockatoo Island. The November event – which appropriately enough enjoys the slogan “New venue. New date. New danger.” – is a project led by The Ethics Centre and UNSW Centre for Ideas. A potential clue about the appearance of the as-yet-unannounced Bannon came in May’s launch announcement, which featured a nod towards the world of Trump’s world of Fake News. The announcement teased that the event “will explore themes of trust and truth”. Dr Mumbo put a call into The Ethics Centre, who declined to confirm or deny whether Bannon would be appearing. They did however, tell Dr Mumbo that they’d love to talk to potential sponsors of the event. 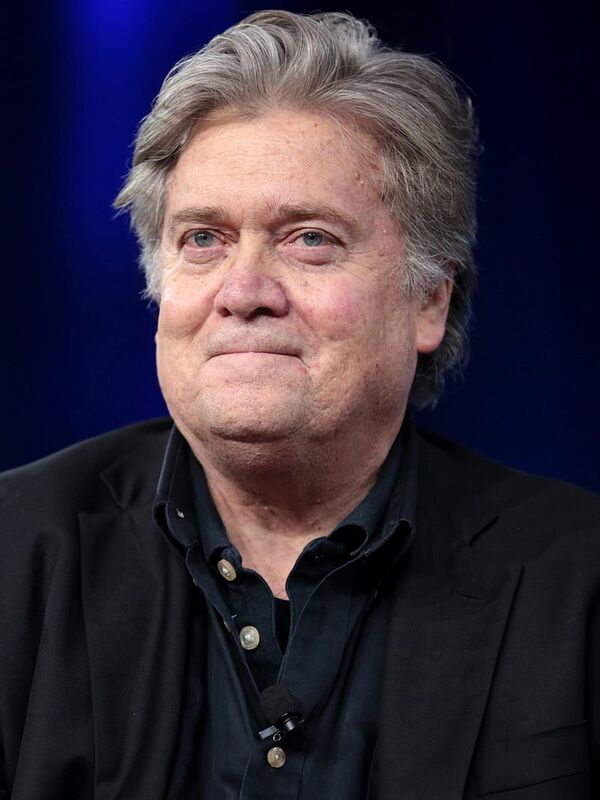 Listen to Bannon without any preconceived ideas as did Hamish McDonald on the ABC breakfsst program when he called him a “Svengali” character, revealing the ingrained leftist bias of thr ABCas he did so. I am fascinated by this comment. Are you saying that The Festival Of Dangerous Ideas should only have speakers that are left leaning and fluffy and nice and speak to things that you believe in? I’d especially like to know how it would be “hypocritical” to have him speak at this event. Wait, you said he is a fascist but you are claiming the moral high ground saying he shouldn’t be able to talk? Really? Like you’re actually serious about that point? He is more likely to be anti-semitic than a white supremacist, it doesn’t take a genius to figure out why you didn’t mention it though (and those things are still very debatable). As for the rest, are you really trying to justify an opinion on a ‘white supremacist’ but follow it up with a SMH article (oh dear hahaha) about a man who wants Sharia Law enforced worldwide but isn’t willing to justify his opinions from his own political ideology (i mean religion, sorry). Sorry, have to disagree strongly Nasser. Oh how the rich elites and corporations must love it when someone calls Bannon a fascist. Fascism is the founding father of capitalism Nasser. I am grateful that at least someone has the sense to reveal the elephant in the room. As soon as the ideal of limiting immigration, protecting Australian jobs, in other words, economic nationalism, is mentioned, the racism card is wheeled out . . . China does it regularly when they feel they are being blocked from buying up Australian assets etc. Do you really think that people from other countries aren’t racist towards Australians? E.G. China blocks the ABC on the internet. Do we jump up and down and cry “racism”? The racism card is an economic and political “don’t look here, look over there” diversion. It plays into the terror that each of us feels when we are afraid of being called a “racist”. If someone states categorically that they aren’t racist then they are fooling themselves. You hear people say, “i’m not racist, but . . .” etc. etc. We are right to be wary of too much Chinese influence. We already have it. We are right to limit immigration. Check out the happenings in Sweden now the doors are opened wide to that country. It is frightening. Political correctness is milked for all it is worth by the liberal class. It is not easily solved because each side thinks they are right. It is a very tricky area. Sorry to say Nasser, that you don’t know a fascist from a fairy. A real fascist don’t want to give anyone a chance to put their point of view across. Much like you. Farage is coming too. All the loons. I can actually picture Farage, Bannon, Murdoch (senior and Lachlan) in Nazi uniforms. I wonder if they got the opportunity whether they would go down that route? Their rhetoric seems to suggest that they might? All highly privileged individuals who didn’t have to oput up with any hardships, unlike our fore fathers who fought in the 1st and 2nd world wars. They are spoilt rotten brats, the lot of them and often use money to bully. Sad. It is interesting how when someone has a different viewpoint from someone else they are a “loon”. Why are they loons? I suspect you don’t know. Both sides of this debate have valid points but the current liberal, political correct, left leaning, emotionally driven, section who are against economic nationalism, means that any view that even dares to question the convenient “racism” label is immediately labelled racist. I wonder how they’ll all feel when Australia become yet another 3rd world country? Australia needs more people like Bannon. If Australia continues to go down this path, it will result in all Australians being a conquered race and Australia, a third world country. We’re supposed to be a democratic country – well where is the democracy here?? We can’t even say what WE THINK anymore because we might ‘upset’ someone. Well, BOO-HOO. I’ve had it to the back teeth being TOLD what I can and can’t say!! It’s time the silent majority started to stand up against this dictatorship before it’s too late. Australians are an ‘easy target’ because they’re so apathetic – we should all be out marching on the streets outside Parliament House yelling “We’ve had enough, and we’re not going to take it anymore”!! Australian politicians (of all persuasions) don’t give a damn about this country – or its people – they only care about themselves and what’s in it FOR THEM! Isn’t it about time us 3rd & 4th generations of Australians started thinking about our own SURVIVAL?? Are you referring to native / indigenous Australian’s or European settlers as ‘race’? Both the above aside, there is one ‘human race’ still alive on planet earth: Sapiens. Sapiens map up to Homo – Homo maps up to Hominini, which maps up to Homininae. Homininae is a common ancestor to both gorilla’s, chimps and humans. A ‘conquered’ country. Now there is a turn up for the books. Ask First Nations peoples about that for a start. The hypocrisy of some is astonishing. I agree with Nasser. Steve Bannon doesn’t give a hoot for the Australian working class person. All he cares about is power, money and an ultra right wing agenda. Don’t be fooled by this type of person.